This book keeps on giving! 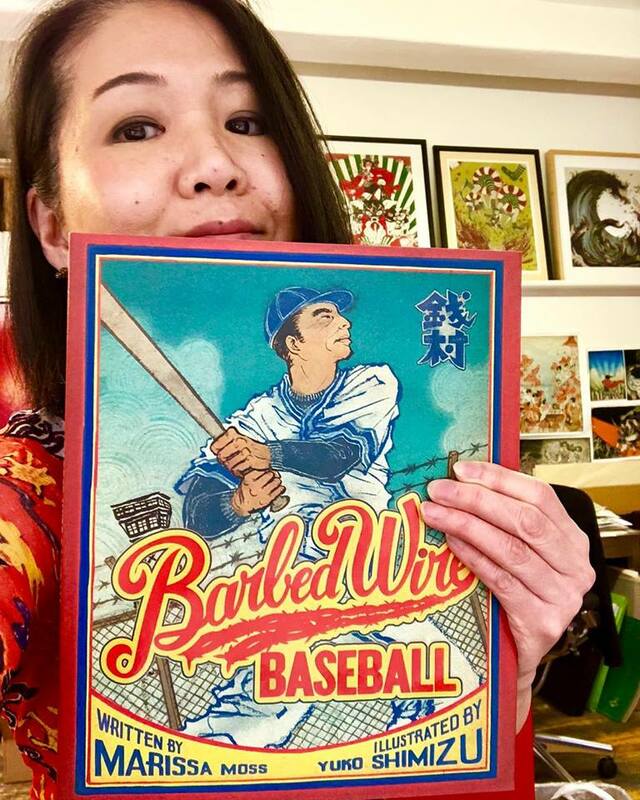 I was just notified that Barbed Wire Baseball, my first picture book that was initially published in 2012 (paperback edition came out more recently), just received The California Young Reader Medal (CYRM) in Picture Books for Older Readers category. Thank you so much for all the young students, teachers, and librarians who have read, nominated and voted for the book. Thank you author Marissa Moss, editor Howard Reeves, art director Chad Beckerman, and all the team who were involved to make this book published. Also big thank you to Shigeko Okada, Victo Ngai and Dadu Shin who had assisted me during the deadline crunch time. Autumn Whitehurst and Gary Taxali for their emotional support and doctor recommendations when I finally got sick from stress right before the deadline. The medal will be awarded in Riverside, California in late October.